President Kenyatta orders that imports of Sugar and Milk Powder to be tariff free until August 2017, who in the Jubilee will eat the spoils? President Uhuru Kenyatta finally found a solution to the rising the prices and inflation on basic foods. Therefore on the day there is 30,000 tons Sugar coming in at Mombasa this morning. (b) nine thousand tonnes of milk powder imported by milk processors, with the authority of the Kenya Dairy Board, with effect from the date of this Notice to the 31st August, 2017 Dated the 11th May 2017” (The Kenya Gazette, Vol. CXIX – No. 62, Nairobi, 12th May 2017). So as this happens, you can wonder if the Sugar millers and Sugar exporters are connected with the government. Since the 30,000 tons just appear on the day after the gazette. That means, someone knew about the plans of the government and let it happen. It isn’t just appearing from the sky, that a holy angel sends 30,000 tons of sugar to Kenya and the Port of Mombasa on the day after the Executive Order was signed and than relieved to the public by Cabinet Secretary for the National Treasury Henry Rotich. He is just a useful CS, who certainly will have his pieces of deliverance of all the duty free goods. That the government, close connections with the Jubilee government and the Sugar cartels will surely gain profits on these exported foods. This been in a country where the tariffs has been a 100% on Sugar and added VAT 16 %. Therefore, this reactions seem to be a ploy to earn monies on gullible people and think that the people will take it as goodwill. This is happening at the same time, as the prices on sugar is still on a two year low worldwide. President Uhuru Kenyatta and Deputy President William Ruto, might think the Kenyans doesn’t see through this. But they should question the companies, the boats and who orders the duty free goods to Kenya from today and until 31st August. Like who earns the profits on the sugar and the milk powder in these months. They are clearly planning it and not only for the famine and drought. But for sole purpose of gaining massive amount of funds in the period of campaigning. This just appearing and ordered in the critical time. The Jubilee government doesn’t know how to be subtle. Can wonder if any of the corporations and importing businesses owned by the Kenyatta’s or Ruto’s would benefit from this. I wouldn’t be shocked, neither if anyone else of the Jubilee government got a payday and huge amount of Bob’s in their accounts. Peace. 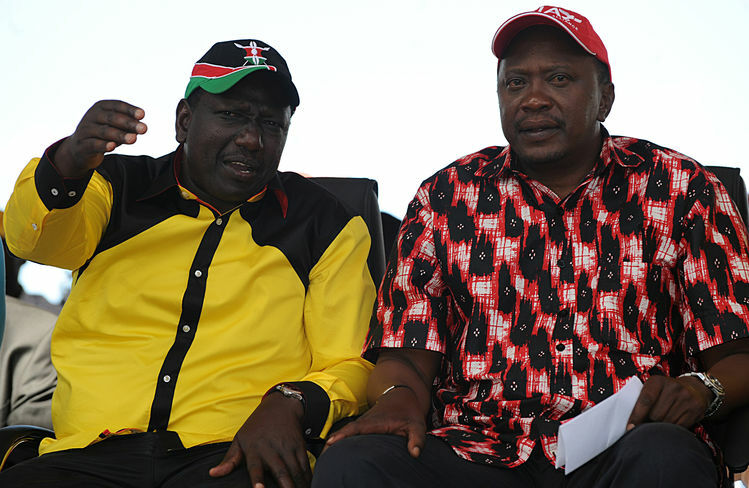 Kenya: At the moment, Sugar is not sweet for Jubilee! The prices of Sugar in Kenya is special experiment, as the taxation on imports of sugar is a 100% and also 16% VAT on the sugar imported. Secondly, the industry is controlled by the state, there been talk of privatization of millers owned and the Kenya Sugar Board who regulate the industry. As well as the Ministry of Agriculture is making sure the output of the farmers are corrected. Therefore, as the prices worldwide is sinking and going-low, the prices of sugar are going up. This is happening in the months right before election time. The government must know the industry is struggling as the only private miller Mumias are again on a downward spiral: “Already, the miller has been closed for three months. According to managing director Errol Johnson the closure was meant to fix equipment, which had contributed to the company’s poor performance due to inconsistent maintenance. The closure from April 11 came barely a month after the cash-strapped miller received Sh239 million from the government, as part of the bailout strategy” (BiznaKenya, 2017). That the Mumias miller proving the big-problems in the Sugar industry, as it has been evident for years. The agricultural output and yields haven’t been the issue alone, it is denial of the state to figure out working changes to the millers, the import and also control it has over it. That the government has the oversight and the insight to the issues, are clearly that the Jubilee haven’t been interested in-changing it, as the benefit of this system. Therefore, President Kenyatta and Deputy President Ruto hasn’t touched it or done anything else than bailing out Mumias on the last dive of the company. Therefore, the reports shown here. Proves the initial factors to the grand issues and why the prices are sky-rocketing, while the international prices are falling. Take a look! “Sugar milling is a high fixed cost business requiring substantial economies of scale in cane crushed to break-even” (…) “Existing relationships of patronage between governments and large milling companies serve to align the incentives of government and millers such that new entrants would find it difficult to compete with incumbents and obtain the same benefits” (Chisanga, Gathiaka, Onyancha & Vilakazi, P: 12, 2014). “Government ownership in the sector remains large, despite higher relative efficiency in the private sector and long term plans for privatization. While some privatization has taken place over the past decade, government-controlled factories held a 37 percent production share, with additional non-controlling shares in other firms. Part of the argument in favor of privatization is the relative efficiency of production in private mills over those controlled by the government” (…) “The local sugar milling market is quite concentrated, and combined with the barriers to trade this suggests that the largest players have significant power over prices. 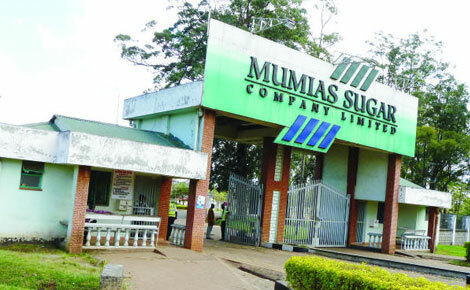 Mumias, the largest sugar company, had a market share of 38 percent of domestically produced sugar in 2011, lower than its typical market share due to cane shortages. Combined with the government-controlled share of the industry, this implies that essentially two entities control at least 75 percent of local production. The shares of local producers in domestic market sales vary quite widely depending on the period, as the volume of imports fluctuates a great deal. For example, Kenya Sugar Board data from the first two quarters of 2012 show importswere approximately 33% of local production” (Argent & Begazo, P: 5-6, 2015). “Kenya National Bureau of Statistics, a government (Jubilee) body, reports that 2.2 million Micro Small and Medium Enterprises (MSME) have closed shop in kenya over the last five years. These are some of the reasons that inform our opposition to Jubilee. Personally, I think Uhuru and Ruto are fine Kenyans; wonderful husband to their spouses; incredible fathers to their children; and great benefactors to their elite friends, but have terribly failed in the duties of the office of the presidency” (…) “All sectors of Kenyan economy has been negatively affected by the floods of cheap imports, brought into kenya by unscrupulous businessmen connected to those in power, having unbridled freedom to import anything of their choice without paying taxes: From sugar industry; to textile; to agriculture, denying kenya the much needed revenue for development. Over the weekends, the leaders behave like Frank Lucas, donating part of the proceeds from these imports to the same societies they are killing by giving out these import certificates” (Sadat, 2017). That the government haven’t made sure the industry and financial markets been sufficient is proven with the macro problems in Kenya. The import sanctions together with the stronghold control of certain millers and Kenya Sugar Board, there are patronage and cartels that sets the prices and the payments for the yields. Together with the storage and cane production that is initial to the issues that are there today. That President Kenyatta and DP Ruto hasn’t taken charge and paid amends is the reason for the prices at this point. That the Sugar Barons, Sugar Cartels and Sugar Companies are connected with government is understood as the politicians are taking handouts from them as well. “No one in your government can categorically state how much stocks are being held in the strategic grain reserves. Casual talk of wanting quality of the same maize, from the millers lobby, heightens speculation that your government is unwilling to walk the talk on cutting the cost of living. As things stand, it is fair to say that your Government has taken a holiday on consumer protection as cartels take over the all-important food security sector. It follows that your government, is therefore, in breach of Article 46 of the Constitution you swore to protect. Needless to mention, it is a tall order for you to protect and uphold the sovereignty, integrity and dignity of the people of Kenya if they remain hungry – with a single or no meal at all, thanks to the high cost of living. Your government supposedly offers huge subsidies to farmers through farm inputs like fertilizers which do not get to them. It’s the middlemen and cartels who end up smiling to the bank as farmers toil in vain” (COFEK, 2017). 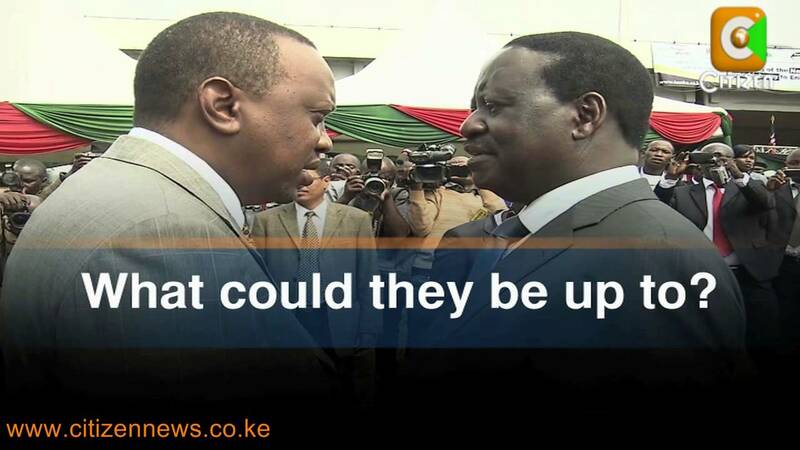 Kenyan reactions to the proposed Kenyan-Ugandan Sugar-Agreement: Is it a sweet cup of tea or is it something else? Kenyan opposition has reacted to the talks about importing sugar from Uganda to Kenya and recharging the trades over the borders. This is after the talks that been between Uhuru Kenyatta and Yoweri Kaguta Museveni in Uganda recently. Here will go through the statements from CORD (Coalition of Reforms and Democracy), ODM (Orange Democratic Movement) and JUBILEE. Also other main actors in the Sugar industry in Kenya, also main numbers for one of the factories called Mumias Sugar Company, which has had issues in the recent year. “A public spat over when 200 000 tons of duty-free sugar should be imported from the Common Market for East and Southern African (Comesa) bloc to forestall a sugar shortage in Kenya has exposed potential economic sabotage by members of the ruling party” (…) “On February 9, the board’s chief executive, Andrew Otieno Oloo, wrote a letter to the Kenya Anti Corruption Commission and the National Security Intelligence Services accusing the ministers of attempting to execute fraudulent deals. Otieno said the sugar crisis had been orchestrated to trigger a price increase for the commodity” (…) “Two weeks ago, presidential aspirants Raila Odinga, William Ruto, Musalia Mudavadi, Najib Balala and Kalonzo Musyoka — all from the opposition — also took the government to task over the delayed sugar imports and said the scheme was intended to create an artificial scarcity aimed at raising prices” (…) “The imported Comesa sugar would have stabilised sugar prices, which have already increased by more than 100%, to $2 from less than $1 a kilogram in October last year. The issue boiled over last December when Kimunya declined to expedite the government gazette notice, making it impossible for the sugar board and the Kenya Revenue Authority to set a date for traders to start importing the sugar” (…) “The scandal has further tarnished Kibaki’s image as he struggles to recover from a series of similar scandals that cost the taxpayer more than $100million between 2003, when he came to power, and 2004, when the details of the theft of public resources began to emerge” (…) “Kenya’s sugar needs are 800Â 000 tons per annum. It produces 600Â 000 tons and the remaining 200 000-ton deficit is bridged with imports from Comesa” (Kwayera, 2007). Amina Mohammed said today: “emphatically that the Uganda sugar deal has been blown out of proportion, with the main agenda of the visit totally forgotten” (…) ”That the only matter agreed upon was the establishment of an East Africa Sugar Board to protect Kenya’s sugar and ensure that what is being exported and imported is not from anywhere else apart from the region” (Kulundu, 2015). Musailia Mudavadi has said the agreement has killed the goodwill of the 1sh billion bailout of Mumias Sugar Company. Statement on the 14th of August Mudavadi said: “Kenyans need to know what measures the government has taken to prevent unscrupulous importation of sugar from outside the Comesa protocol and channeling it through Uganda to circumvent the regulations under the Rules of Origin principles” (…) “There is a classic example of re-packaging Brazilian sugar and dumping it in the Kenyan market” (…) “The excuse of ‘balancing trade between our sister countries’ should not be used to enter into pacts that undermine local production” (…) “”It cannot be that his Cabinet Secretary Amina Mohammed says there is no agreement while the President defends the alleged agreement. Is there a pact or not? This contradiction needs correcting” (Ochieng, 2015). “Kenya has arrived at that stage. There is clear evidence that we are dealing with a mafia regime in which individuals are pursuing personal interests in the name and the expense of the nation” (…) “The end game is to turn Kenyans into beggars who rely on the generosity of the thieves who will come to our aid through harambees and the other acts of alleged philanthropy” (…) “That is the story of Sugar. The same sugar, imported by government officials is, financing Al Shabaab who recently killed hundreds of university students in Garisssa, most of whom were from Western Kenya” (…) “In Western Kenya, they have attacked sugarcane in a double prolonged strategy. First, they will kill the factories. Next they will buy the factories” (…) “We have asked the president to explain to us how this deal helps the sugarcane farmers” (…) “We have asked the president to explain how this deal will help our industries prepare for the end of COMESA sugar protection period”(…) “Yes Kenyan Sugar is expensive. But it feeds the Kenyan farmers and it educated the children of sugarcane farmers. Yes Ugandan sugar is cheap. But it only feeds Uganda farmers and their children. No nation ever developed by abandoning its products” (…) “Buy Mumias Sugar, Sony Sugar, Nzoia Sugar, Chemelil and Muhoroni sugar and build the country” (Kulundu, 2015). “Sugar production is vital to the economies of Bungoma, Homa Bay, Kakamega, Busia, Kisumu, Migori, Narok and Kwale. There are 11 sugar factories in Kenya. Allowing the dumping of sugar in Kenya will devastate the economies of a quarter of the Counties of Kenya and a huge section of the rural agricultural population. This is economic sabotage on a grand scale. Grand Economic Sabotage is a crime. It is treasonable” (…) “ TWO MAFIAS? ONE IN KENYA ANOTHER IN UGANDA: The matter is urgent because of the statistics that Uganda does not produce a sugar surplus to be exported to fill Kenya’s supposed deficit allegedly of 200,000 tonnes. The model we fear is going to be used was last seen in 2008. Back then Hon. Kahinda OTAFIRE a close ally of President Museveni and a former head of Uganda’s intelligence service who is currently Uganda’s Minister for Justice and Constitutional Affairs, got embroiled in a civil suit involving KSh. 50,000,000 (fifty million) worth of sugar that came into Mombasa from Dubai already in packed in Mumias Sugar Factory packets! It was meant to be dumped in the Kenyan market. Mumias Sugar Factory got involved in the case and two years later the sugar consignment was destroyed. We are headed in the same direction! It seems that a Kenyan mafia has conspired with a Ugandan one to profit from corruption that will serve only to impoverish Kenyans” (Kenya-Today, 2015). “All CORD and its leader, Raila Odinga have done so far is to point fingers, cast blame, misinform, and compound the despondency already weighing down the sugar growing community” (…) “Mr. Ruto was appointed Minister for Agriculture, farmers were being paid a paltery KES 2500 per tonne of cane delivered to the factories. Because of interventions under Mr. Ruto’s leadership, including the cancellation of sugar permits of know sugar cartels, barons and brokers” (…) “It is well-establish matter of public record that Mr. Ruto bravely confronted sugar importation and smuggling cartels which dumped cheap sugar in the market, short-changing hardworking farmers” (…) “It is a fact that this threat to the monopoly and liquidity of sugar barons affected Mr. Odinga’s personal interests, leading to the unfortunate removal of Mr. Ruto from the Ministry of Agriculture. It is also a fact that Mr. Odinga has been inert bystander at best, or a conspirator of sugar, cartels as the farmers of Western Kenya and Nyanza suffered” (…) “Mr. Odinga has finally confessed that he owes the poor sugar cane farmers of Mumias hundreds of millions of shillings which he casually terms a commercial loans” (…) “Why did Mr. Odinga obtain this so-called commercial loan from poor peasant farmers instead of a approaching a commercial bank whose business it is to lend money?” (…) “We demand from Mr. Odinga and companies associated with him full disclosure of how much they owe Chemlil, Nzoia, Muhoroni, South Nyanza and other millers” (…) “Mr. Odinga is proposing to visit the people of Western Kenya, whom he owes money, his rallies will essentially be a meeting with his creditors. We sincerely hope that aside from cheap politics and empty rethoric, Mr. Odinga will present to the people of Western Kenya a credible repayment plan, outlining how he and companies associated with him intend to repay the money owed, to enable the peasant farmers take their children to school” (InLiveNews, 2015). “William Ruto has called Raila Odinga “Lord of Poverty” while Odinga has fired back to Ruto calling him “High Priest of Corruption”. Majority leader Aden Duale says “All CORD and its leader, Raila have done is to point fingers, cast blame, misinform and compound the despondency already weighing down the sugar growing community” (…) Mr Duale also says “after the move, payment for sugarcane farmers shot from Sh2,500 to Sh3,800 a tonne and only went down after Mr. Ruto was sacked” (Jodie, 2015). William Ruto has continued to say online: “Sugar cartels used PM’s office to orchestrate my removal because Gazette notice 3977 I signed cancelled their licences ending their schemes” (…) “While in western (essentially meeting with creditors) aside from rhetoric, I hope Cord presents a credible repayment plan of admitted debts” (…) “how that my friend Tinga (Raila) admits owing peasant cane farmers millions can he explain why he didn’t take this “commercial loan” from a bank?” (…)“Under what circumstances did Mr Odinga and companies associated with him contract a debt of such magnitude with poor innocent farmers?” (Jodie, 2015). 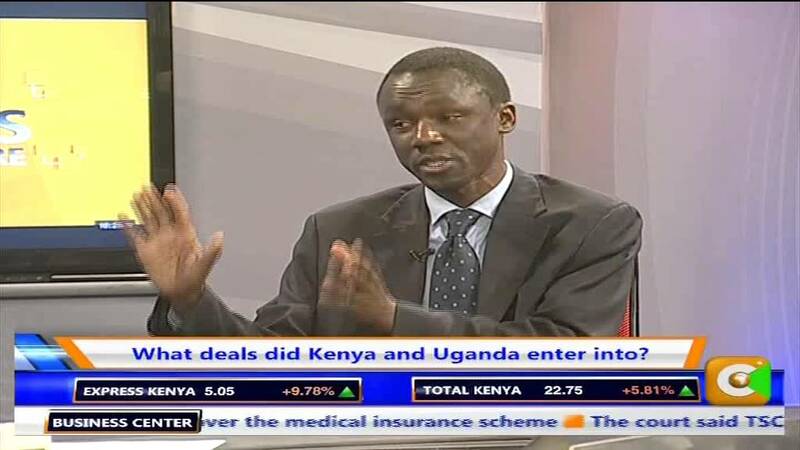 Kiprono Kittony commented to the media: “Importation is not meant to weaken the economy rather it serves to help bring development and collaboration between countries. Politics will not increase sugar” (…) “Most of the sugar companies in Uganda are private, that’s why they are able to produce more and better sugar than us. The Government should do the same and privatize our companies” (Mr. Kittony is the Kenya National Chamber of Commerce and Industry), (NairobiToday, 2015). The former Presidential Campaign Manager for Raila Odinga, Mr. Eliud Owalo has said this about the Mumias scandal: “Nairobi Governor Evans Kidero has been accused of systematically running down Mumias Sugar Company during his tenure as the Managing Director of the giant Sugar Miller. He was not MD of Mumias by virtue of being the Governor of Nairobi, and he must therefore be ready to bear responsibility as to costs and consequences of the same without dragging the Party into it” (…) “It does not help the Party cause to continue clinging onto Kidero in the face of serious allegations of graft at Mumias Sugar Company to the detriment of the people of Western Kenya whose single largest source of livelihood is now at stake.The Party risks losing its crucial Western support base by being seen to be protective of Kidero who has crippled the economy of the Western region, yet he is equally known to be one of the most disloyal members of the Party. Embarasingly, the Nairobi County Governer is heavily implicated in wanton land grabbing reminiscent of the Nyayo era yet both ODM and the CORD Coalition has maintained a studious silence on the same simply because it’s our own Governor is at the engine and otho-centre of the land scams” (Nairobi Forum, 2015). Nairobi Senator Mike Sonko also spoke his peace: “I wish to table some audio clips and unfortunately it will not go down well with some people who will lose some confidence in me but for the sake of development of Nairobi County, allow me to table them” (…) “Peposi Freight Kenya Ltd was registered on December 23, 2014 and the next day opened an account at Cooperative Bank, City Hall branch. Sh7.6 million was wired from the Nairobi County Government for services never delivered” (Nairobi Forum, 2015). “Drama started when two MPs claimed 20 members who signed the final report complied after a probe on Mumias Sugar Company had received a total of Sh64 Million to expunge some names from the report. The debate comes as the committee is embroiled in an allegations taking bribes to doctor the report over importation of sugar that contributed to crippling of the Mumias Sugar Company” (…) “The allegation and counter-allegation came after Washiali and Fred Outa (Nyando) claimed the MPs, including Committee chair, had received sh4m bribe to shared among 22 members who signed the altered report. Noor is being accused of reiciving the money after Lugari MP Ayub Savula, at a past committee, claimed a cheque from a local bank had been deposited into the chairman’s account” (…) “Washiali said further: “We have a feeling the Sh4m affected the outcome of the report. I know money was deposited into your (Noor) account that made you alter the report. This is the matter of life or death. Tell us who also benefited from it. We will not allow you to take advantage of our people” (…) “Washiali also took on Kimei, claiming he had hinted to him that a further Sh100m was being prepared for members to ensure they come up with “good report” (IGNITEKE, 2015). It mentioned in the stories. I had started to write a few months ago on this. So this is just the backbone of a article. So here is a draft of numbers and information of the company that got bailed out during the year after terrible economic issues that it had. This here is a little basic and also far from digging through what I had at the time. But this is just a sidepiece to the quotes that are on the Kenyan-Uganda Sugar and trading deal between the countries after the state visit of Uhuru Kenyatta in Uganda around 10-11th of August 2015. 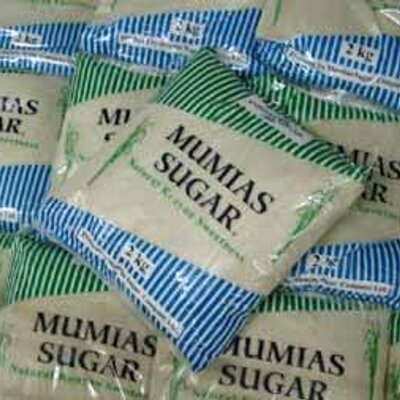 Emis they described Mumias Sugar Company Ltd as this:”Mumias Sugar Company Limited is a Kenya-based company engaged in the manufacturing and distribution of sugar and the production of electricity. It manufactures molasses for industrial users, traders, farmers and individual purchasers” (…) “The Company also produces power through burning of baggasse, a waste product from sugarcane processing” (EMIS – Securities). The important tales from the annual report of 2014 tells dangerous story. First with Mr. Ameyo describe the matter of the company and sugar industry got hit because of that. This starts with the unexpected low yield of sugarcane from the sugar-belt in Western-Kenya. Part of the operation issues was getting good quality cane. Year of 2014 was the production of Sugar went up by 14%. The Ethanol production from last fiscal year went up 210%. Molasses production went down because quality of the sugar-cane the downturn in production was total of 21%. This resulted in less export of electricity. All of this with also the higher price on production cost went up 18% (Ameyo, 2014). “Mumias Sugar Company limited is facing imminent closure soon if the kshs.1Billion promised to the Sugar Company by the government is not effected immediately and the closure will result into the eventual collapse of the Sugar Firm” (…) “he Western Region requesting government offices to intervene and ensure that Mumias Sugar firm does not collapse because such action will lead to over 500,000 families across the country losing their source of livelihood besides the millions of people that depend on the firm both directly and indirectly in the Western Kenya and outside” (…) “At the same time, COTU (K)’s concerns are informed by similar promises by the government that lead to the collapse of Pan Paper Mills in Webuye and we are sure that soon after the collapse of Mumias Sugar firm, Nzoia Sugar Company will be on live and this will no doubt be the worst raw deal that the Kenyan people would have received from its government and it will be an uphill tasks for anybody to revive these plants” (…) “Thousands of workers now at Mumias Sugar Company are at risk of losing their jobs as do other workers within the production and distribution chain and the Kenyan economy will be worst hit at the closure of Mumias Sugar Company” (COTU, 2015). “Otifier Logistics is the highest debtor owing Mumias Sugar Company 36.6 million shillings followed by Spectre International Limited which is associated with the Odinga family that has a debt of 33.9 million shillings” (…) “Otifier Logistics that owes Mumias Sugar Company 36.6 million shillings. Second is Spectre International Limited, a company associated with the Odinga family which owes Mumias Sugar 33.9 million shillings for molasses bought from the miller” (…) “Uchumi Supermarkets also features on the list owing the sugar miller 6.6 million shillings for sugar” (…) “Ukwala Supermarket, Nairobi with a debt of 2.8 million and Yatin Supermarket that owes the miller 319,320 shillings” (…) “Unilever Kenya is also listed as having a debt of 2.2 million shillings” (…) “Mumias Sugar says it is owed a total of 241 million shillings by several companies and individuals” (The Uchaguzi, 2015). “All of us victims of the plunder of Mumias Sugar Company, by a powerful politically connected Cartel, are very alarmed at emerging information that corrupt, evil underground maneuvers are underway to kill off the ongoing clamor, for justice and retribution, by elected leaders and wananchi in the Mumias Sugar belt and Western Kenya in General” (…) “the main target is Kakamega Senator Dr. Bonny Khalwale alongside dozens of other vocal leaders both on the ground in Western and here in Nairobi. We are alarmed that a section of top political leaders, are the chief architects of this heinous betrayal of poor sugarcane farmers and are hiding behind what they call “RECONCILING Dr. Khalwale and Nairobi Governor Dr. Evans Kidero” (…) “Governor Oparanya’s loud silence, his ruthless attacks against Kakamega County Assembly Majority leader Cleophas Malala and others whenever they publicly condemn the looting of Mumias and his recent fraudulent dolling out of Sh. 200 million to Mumias instead of calling for the thieves who fleeced the Company to return the loot, confirms our worst fears that the ODM top leadership is complicit in the Mumias Scandal and hence their efforts to intervene are a cover up, which we reject” (…) “Apart from Governor Oparanya, CORD Principal Raila Odinga has been admitting on several Vernacular FM stations that his Company is one of the many debtors who owe Mumias Sugar Company a lot of money. Initially he blamed it on the bank that gave his firm some credit facility to buy Molasses from Mumias. Then when the people are expecting him to lead by example by promptly paying the debt, he popped up in a funeral mass in Kakamega last weekend and denied owing Mumias. That double speak tells a lot. He thinks people have short memories such that he can just play around with their problems” (…) “Dr. Khalwale and other targeted Luhyia leaders should know that accepting to back down from the campaign for the punishment of those who destroyed Mumias and accepting to be given financial inducement will be the biggest betrayal of our farmers and the entire Luhyia Community. The only compromise we can agree is a total refund to Mumias Sugar, full payment for farmers’ cane deliveries that are in arrears for the past several years and key suspects in the looting to organize a public repentance and apology by all the thieves” (The Gazette Daily, 2015). This has been a long enough blog/article for the internet. But its sure sweet with details and sure Raila Odinga doesn’t come out of this well. Because the table is turned on him since he went after Uhuru Kenyatta and he has borrowed money from the company that recently got saved by the government. An because of the scandal of Mumias Sugar Company I had already a lot of documentation before the Uganda-Kenya import deal that was supposed to happen and be ready after the 10th August 2015. Since that Raila Odinga, the CORD and ODM went bananas and wanted to have a upraising in the Western Kenya where the Sugarcane famers that supply the Mumias Sugar Company reside and where the farmers earn their living deliver the cane to the factory with mills it. Though the economy and corruption of the company has come to the surface and tells that something is not right. And if there are personal connections for Odinga and need extra the sugar mills, as it seems there are reasons to doubt the real political plan of Odinga. As Ruto and Kenyatta has bailed out Mumias and might have signed or gotten to a level of planning to open the borders for sugar and commodities as the ‘Joint Communique’ tells. There is certainties that of “President Museveni noted that Kenya exports to Uganda are estimated at $700 million compared to imports worth $180 million, and commended President Kenyatta for implementing initiatives that would contribute to bridging the trade gap” (Joint Communique, 2015). Which tells the story in general that there will be more trading from Uganda to Kenya, and at the same time will also open the borders more from the Kenyan side. This has sure not been the cup of tea that the Kenyan Government and the President Uhuru Kenyatta wished to see after being for a visit in Uganda earlier this month. Secondly after bailing out of Mumias Sugar Company should seem like the trading agreement with Uganda shouldn’t spoil that, even if they can import Ugandan Sugar, for the simple sense, the Kenyan community might get more easily sell products in Uganda as well. I doubt that the deal and agreement will be a one-way traffic train between the nations. Then its Raila Odinga who isn’t drinking, but the coastal drink of Mnazi. And with the information I get, I miss a lot of leads and structures. I wish I had more rough numbers and actual facts then hearsay and statements from the parties. With the scandals and probes proves that their certainties of some conspiracy, but where it might lead is scary in Kenya, therefore we haven’t been to bottom of it, or that the Mumias Sugar Company and Sugar Cartel has the hold of politicians so they won’t speak, because they getting behind keeping their mouth shut. An Raila Odinga is in debt to the Sugar Company together with other big shots! While the Government and Jubilee want support in Western Kenya so they support Mumias Sugar Company because of the farmers it feed. While this Sugar agreement and import option set it at risk, but that will also be for all the other millers that grind sugar in the Country! But if you want to be good neighbors and trade, you got to import and export produce between them. Which I think is something Uhuru Kenyatta understands and might think in his mind that is a possibility to continue to grow the Kenyan economy. In the end might not be wrong and give an edge to both countries. Not just sugar in the tea that there is in the talks for now, but everything else as well in time after there been an issue with the chickens and Migingo Island in Lake Victoria, and the fisheries and fishing industry for both countries!